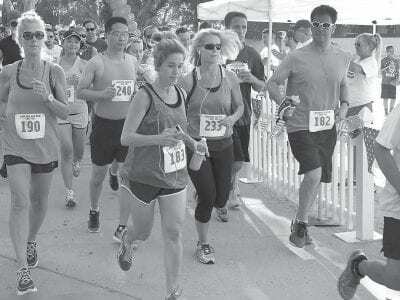 DOWN BY THE LAKE—Left, competitors begin the annual Lakeside Fun Run. Above, Emmi, a cute Yorkshire Terrier, enters the pet show. Right, Gary Saxer in a patriotic moment.